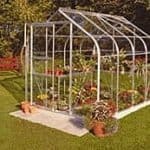 The good sized and attractive looking Greenhouse 8 x 6 Waltons Extra Tall Polycarbonate Clip Model is going to give you many years of use and be the perfect space for you to potter around, take care of your plants, look after your vines and of course grow some very delicious fruit and vegetables. 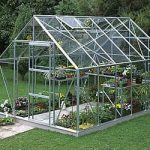 This greenhouse offers you plenty of floor space to make use of so you can put a table, some shelving or anything else you may need to grow some fantastic things. As well as the generous floor space, this greenhouse also has a very high roof which will be perfect for those of you who plan on spending many hours inside here. As an added bonus, a free rainwater downpipe is included so you can use the gallons of rain that falls down this to water your plants. Even though Waltons have kept this a very reasonable price, they have not cut any corners in the design. A very impressive frame that manages to be strong, but also lightweight is used to keep the structure together. This frame has also been powder coated so that it is going to stay free from rust. 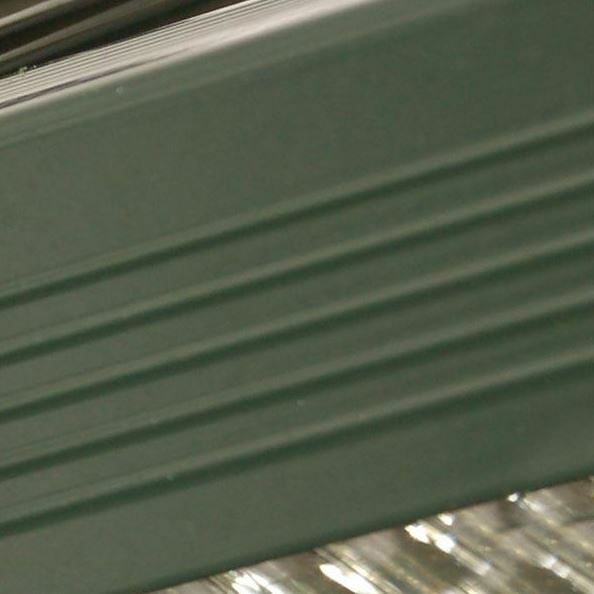 The panels used are high quality, polycarbonate panels and at 4 mm thick they are also very strong and are shatterproof. 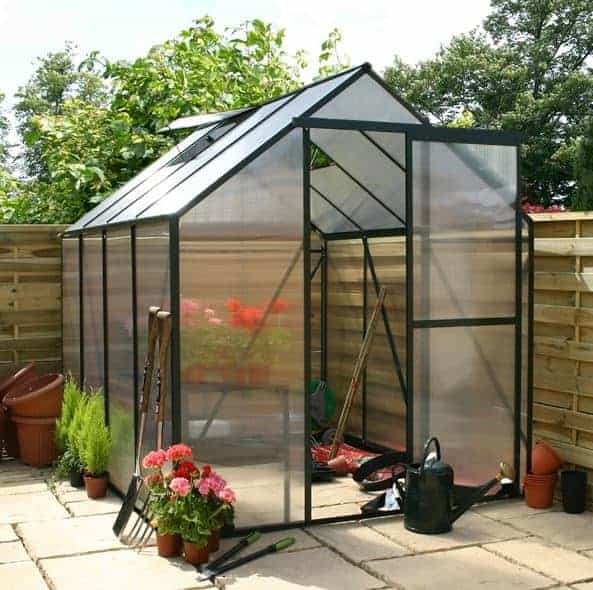 This is one very well made greenhouse which is going to give you many years of use so get your seeds, watering can and gloves ready and have some fun in here. We really do like the Greenhouse 8 x 6 Waltons Extra Tall Polycarbonate Clip Model and are impressed with how Waltons have managed to keep this so high quality, yet so reasonably priced. This is the mid sized version of this greenhouse and that extra couple of feet it gives you is really going to make a whole lot of difference to the amount of things you can put in here and also the way you lay it all out. The depth is 8 feet 2 inches which along with the 6 feet 5 inches of width make this a rather spacious greenhouse. The roof is 6 feet 7 inches high along the ridge so you have a whole lot of room all around. We love what they have done with the apex roof they have used on here. To start with it is nice and high so you do not have to walk around like you are the Hunchback of Notre Dame. One thing that is very surprising is the guttering that runs along the side of the roof at the eaves. How they were able to include this and not raise the price is something we are still trying to get our heads round. 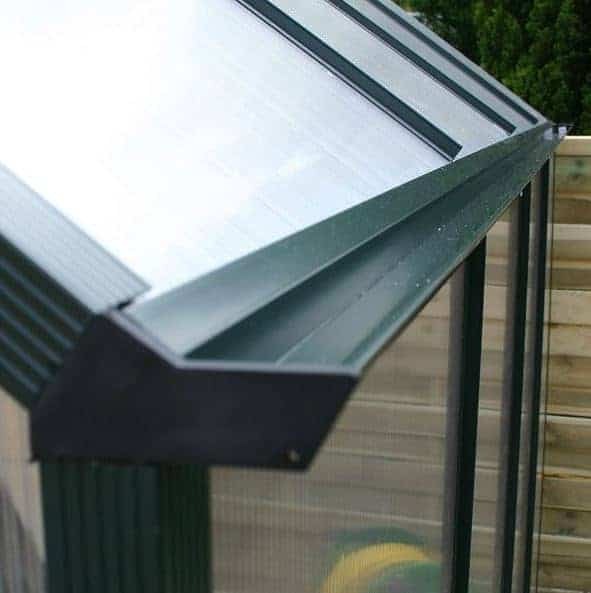 The walls of this greenhouse have a look which we really like, they are made with polycarbonate panels which are an impressive, 4 mm thick and these are made so that as well as being shatterproof they are resistant to scratches and will not fade or turn a funny colour as the years go by. 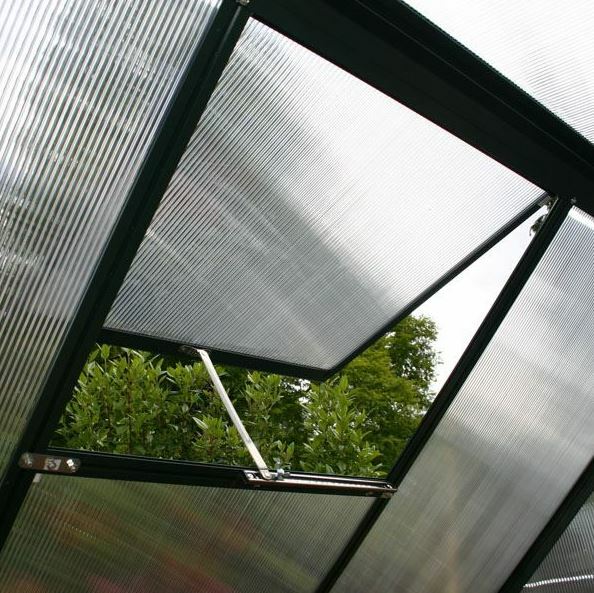 This type of panelling really is ideal for greenhouses as it keeps the warmth in very well and also it makes installing the whole structure very easy as they all just sort of clip together. Think of this like a giant Meccano set and you will have an idea of what to expect. While the pictures do a great job in showing off how attractive the greenhouse is they do not do it justice in terms of its robustness. 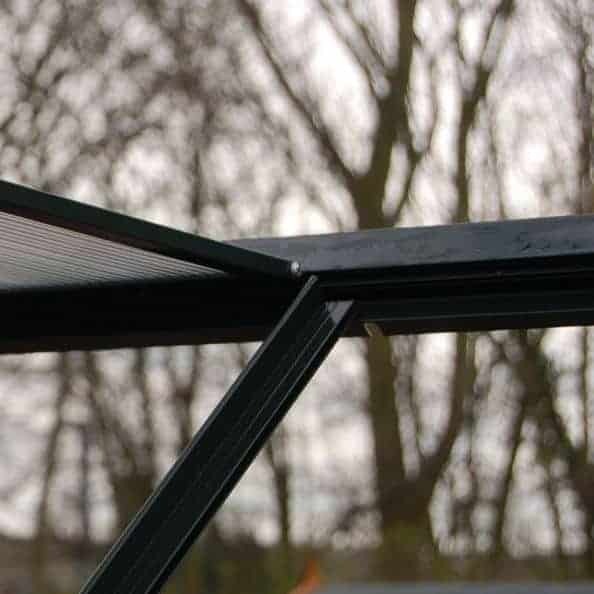 The whole structure is tied together with a very impressive frame, a frame that is made from powder coated aluminium to keep it free from rust. If you look closely you can see the diagonal framing on some of the panels which is going to make this one very strong and long lasting greenhouse. Incredibly despite its strength, the frame makes this a very lightweight greenhouse. Flooring is not provided with the greenhouse, but if you have an area of your garden that is concrete or even a decking area then you could install this there and be fine. Not many greenhouse come with a floor so this is not something we see as a problem. While not ideal, you could place this on grass if it was your only option. A little bit of TLC is all that is needed to keep this looking fantastic. We are talking grabbing the sponge and bucket to give the polycarbonate panels a clean every now and again. Even then this is not something you have to do, but if you want to keep those panels nice and clear and free from muck then it is something you will want to do. A three year warranty comes with the greenhouse which we feel is more than fair. 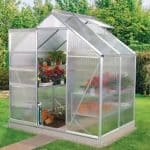 The Greenhouse 8 x 6 Waltons Extra Tall Polycarbonate Clip Model comes with a sliding door which we really like. Not just because we enjoy playing with doors like these, sliding them back and forward, but because doors like this make getting in and out very easy. Even if you have your hands full with some gardening gear, you can easily slide the door open to get inside. Made using the same framing and shatterproof polycarbonate panels, we really do not have a bad word to say about this door. Call it a window, opening panel, or a vent, but no matter what you are going to love how you are able to open one of the panels on the roof. This will let in some much needed fresh air and also, Waltons are including this absolutely free so it is a very welcomed bonus as you would normally have to pay to convert one of the panels to be one which can open. We are pleased with the level of security this offers and while no lock is included, the door does very firmly close. We are sure that you will not be shocked to hear that there is not any privacy offered with this. As this is a greenhouse though that is to be expected so we will certainly not put the greenhouse down for this. Waltons are not known for their customisation options with their sheds and greenhouses and this one follows that trend. Still even though you cannot change the outside, you can still have fun organising the inside. There are two extras for you to consider. First of all is the greenhouse base. 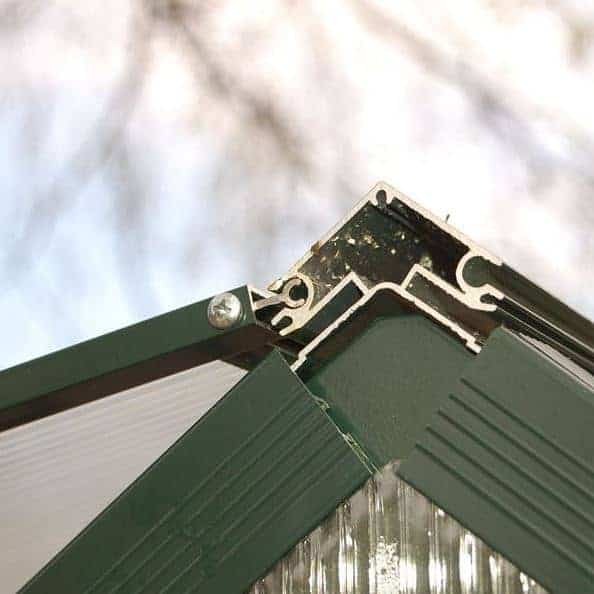 This costs, £49.99 which first of all is a very fair price, but also this is something we strongly suggest you think about adding if you are going to be installing this on grass. There is a small 1.9 kw gas heater that you can purchase for £84.99. If you add this you can keep on trying to grow food and plants even when the weather turns a bit colder. Waltons have really made sure to use the best materials all the while not raising the price. This really is top quality in many ways so you are going to be very happy with this. 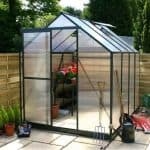 You are going to get many years out of this greenhouse due to the strong framing and those shatterproof polycarbonate panels. Waltons have been very smart with this greenhouse and because of this, we can see this lasting a long time. We are very pleased with the size of this greenhouse. It gives you a very generous amount of floor space to use and the height is also ideal. You will have no problems filling this up with plants, tomatoes and anything else you may fancy growing. We love how easily this all clips together and while you will need a friend or family member to help, you will not have any trouble putting this together. While this is a little bit more expensive than the smaller version, we feel the extra money is worth it considering the extra space you are getting. Plus this is very well made and it also has a very attractive look so we do feel it is offering great value for money. Final Thoughts: You are going to love having the Greenhouse 8 x 6 Waltons Extra Tall Polycarbonate Clip Model as part of your garden. No longer will your prized plants be at the mercy of our harsh British weather. They will be warm and safe from a pounding from the rain inside here. You are going to have all kinds of fun with this no matter if you are a skilled gardener or someone just looking to get into growing their own food and plants. 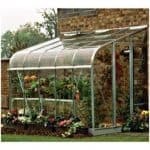 We are very impressed with what Waltons have done here and for the price, you are really going to struggle finding a better greenhouse. This is something we have no problem at all recommending to you as we are sure you are going to love it.